"Goodnight, My Angel: A Lullabye"
• CD of "The Stranger" remastered by the original album producer, Phil Ramone. 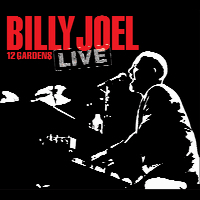 • CD of "Billy Joel: Live at Carnegie Hall (1977)" - previously unreleased. On June 3rd, 1977, one month prior to the recording of "The Stranger" album, Billy Joel and his band performed at the historical Carnegie Hall. • Bonus CD of a second live show, circa "The Stranger" Tour. • Bonus DVD of BBC's "Old Grey Whistle Test" - approx 60 minutes. Plus 2 live promotional videos. • 48 Page Booklet with liner notes by Rolling Stone Editor, David Fricke and un-seen photos from the original album photo shoot. 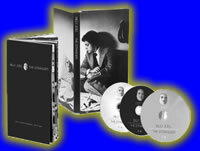 "The Complete Hits Collection: 1973 - 1997"
"The Greatest Hits Collection: Volumes I, II & III"
Includes second CD of previously unreleased 1972 radio concert for WMMR in Philly - with the classic live version of "Captain Jack" and "She's Got A Way"
Billy Joel Supplies the Voice for the Character: "Dodger"
"Where Were You (On Our Wedding Day)?" Performed by Billy Joel & Oscar "The Grouch"
"Behind The Music: Billy Joel"